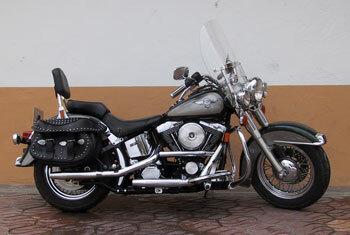 Harley Davidson "FLSTC Heritage Softail"
This model can be used by 2 Persons and is equipped with saddlebags and backrest. 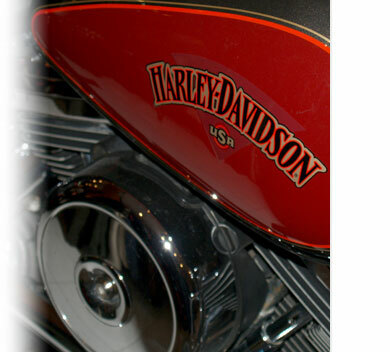 A down-payment of 25% is required upon the confirmed reservation of the vehicle. The rest needs to be paid upon hand-over to the rentee. Changes have to be communicated in written form (either fax or email), with a minimum of 3 weeks before the actual day of the renting. Later cancelation will yield in the facturation of the whole sum.